Dennis C. Daley, Ph.D., is Associate Professor of Psychiatry, Chief of Drug and Alcohol Services, and Director of the Center for Psychiatric and Chemical Dependency Services at Western Psychiatric Institute and Clinic (WPIC) of the University of Pittsburgh Medical Center in Pittsburgh, PA. He is a Principal and Co-Principal Investigator on several research studies sponsored by the National Institute on Drug Abuse and National Institute on Alcohol Abuse and Alcoholism related treatment of individuals with substance use disorders and mood disorders. 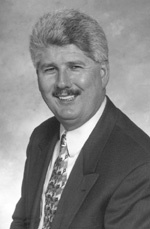 Dr. Daley is a consultant to two federally funded research projects at Harvard Medical School and Spalding University. He has also consulted with numerous treatment programs in the U.S. and Europe, and has presented workshops and lectures in over 30 states, Canada and Europe. Dr. Daley is Co-Director of the Education Core for the Veteran Administration's Mental Illness Research, Education and Clinical Care project. He has over 200 publications including books, recovery guides, journal articles and educational films on dual disorders, recovery, relapse prevention, and family issues. Dr. Daley has written over thirty educational videos for patients and families including the Living Sober I, Living Sober II, and Living Sober III, interactive video programs , The Promise of Recovery, and Double Trouble. His practical recovery materials are used in many treatment programs in the U.S. and other countries, and several of his books have been translated to foreign languages.